Jean-Eric Vergne topped the times in the second and final practice session before qualifying, with Antonio Felix da Costa and Sebastien Buemi close behind. The session began with the first Rome E-Prix winner Sam Bird attacking the corners aggressively, setting a first lap time of 1.31.816s. Lucas di Grassi kissed the wall at turn 13 when he was going for a flying lap, tearing off the advertising and carrying it down the rest of the straight. It didn’t take long for Rowland to bring down the times to a 1:30.812s, but shortly after the red flag came out as GEOX Dragon’s José María López hit the wall at turn 16, with serious damage on the front right tire and suspension. 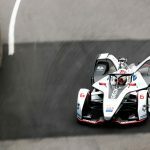 Mahindra Racing´s Pascal Wehrlein was shown to be under investigation for speeding during the red flag. Once the green flag went back on the car came out of the pits as if we were in a qualifying session. Antonio Felix da Costa straight away moved to the top of the times with a lap time of 1.30.779s. A yellow flag was waved to the drivers as Felipe Massa went off the track at the hairpin turn 13, straight into the blue marked escape zone where he tried to reset his Venturi Formula E car without success which caused a full course yellow. With nine minutes remaining Envision Virgin Racing’s Robin Frijns set the quickest lap time with 1.30.710s. The temperature of the track seemed to be improving quickly and with four minutes until the end of the session, it was time for Mahindra Racing driver Jerome d’Ambrosio literally flew to set a lap time of 1.30.545s. Lucas di Grassi spun at the same place that Massa did but with better luck, continuing the practice. 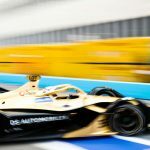 With a minute to go, da Costa came back on top, being the first driver to score a time under 1:30s, he set a quick lap of 1:29.525s until Jean-Eric Vergne became the quickest driver on track with 1:29.370s. Nissan e.dams driver Sebastien Buemi set the third fastest time (1.29.526s) just one thousandth of a second behind da Costa. FP1 pace setter Rowland finished the session in fourth place with a lap time of 1:29.620s. 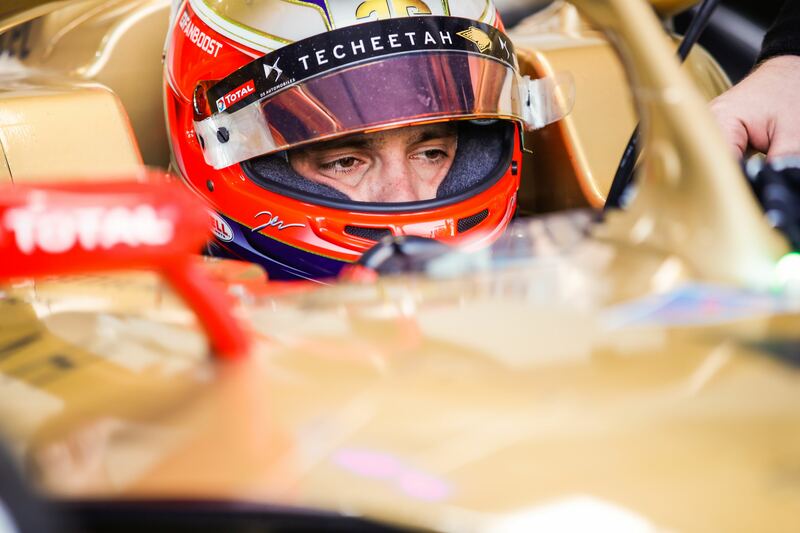 The new track record stands for now with Jean-Eric Vergne with a 1:29.370s.